This page is for the 2009 game. 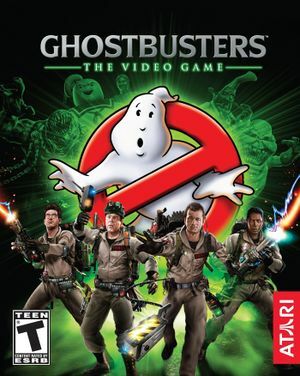 For the 2016 game, see Ghostbusters (2016). PC version lacks the console versions' multiplayer. Delete or rename loading.ogv and logo.ogv. When in game, almost all prompts and UI that isn't on the Proton Pack are cropped at the top and bottom halves of the screen. Higher values are not recommended as they are extremely taxing even on powerful hardware. 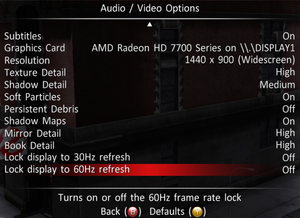 See Issues fixed to set the screen refresh rate. Negative mouse acceleration by default. This issue is most likely caused by a controller being plugged into your computer. If you'd like to use a controller while playing, wait until the game has completely loaded and plug it back in. The Xbox 360 and Xbox One controllers are not affected by this issue. Some players have reported adding the -safe launch option in Steam has worked as well. Open <path-to-game>\d3d9.ini or %USERPROFILE%\Documents\My Mods\SpecialK\Profiles\ghost_w32.exe\SpecialK.ini depending on the installation method you used. ↑ 1.0 1.1 File/folder structure within this directory reflects the path(s) listed for Windows and/or Steam game data (use Wine regedit to access Windows registry paths). Games with Steam Cloud support may store data in ~/.steam/steam/userdata/<user-id>/9870/ in addition to or instead of this directory. The app ID (9870) may differ in some cases. Treat backslashes as forward slashes. See the glossary page for details. This page was last edited on 30 March 2019, at 21:19.